We provide the following guidance from the BSGM (Note: The British Society for Genetic Medicine (BSGM) is an independent body representing UK human genetics professionals. Its membership includes scientists, clinicians and genetic counsellors). More research into the clinical validity and utility of genomic tests, and measures to make the usefulness of ‘direct-to-consumer’ tests transparent, giving more power to the consumer to make informed choices about genomic tests is needed. The recognition that genetic counselling is an essential component of genomic service delivery and requires strengthening in any provider offer. We understand that the purpose of most DTC genetic testing services is to generate predictive health information. In our opinion this would raise more concerns amongst individuals than answer questions without the appropriate pre and post-test Counselling. We have concerns that the information to consumers does not accurately describe both the characteristics and the limitations of the tests offered and that the claims made about the clinical validity of genetic tests should be supported by relevant evidence published in peer reviewed scientific literature. In the UK only clinically validated genetic variants should be reported back to patients, and this should be done by a UKAS CPA accredited laboratory facility, it is clear that most of the variants currently used by most of the companies do not meet the standards for clinical use. There is insufficient evidence to conclude that genomic profiles are useful in measuring genetic risk for common diseases or in developing personalised diet and lifestyle recommendations for disease prevention. A list of guiding principles from companies, although a welcome step in promoting higher standards, these cannot properly address the offering of direct-to-consumer genetic tests which are nearly all, to varying degrees, inaccurate, misleading or simply useless. The BSGM remains concerned about the quality of the tests provided and believes that the clinical validity (and not only the analytical validity) of genetic tests should be proven before one can even begin to consider selling such tests directly to consumers. The BSGM believes companies providing DTC Genetic Testing have a responsibility to supply of information to prospective consumers that allows consumers to enter into the testing with informed consent and should require consumers to sign a statement confirming that they give informed consent to the specific genetic tests to be undertaken on their biological material. Moreover, informed consent is a process of decision making not a signature by a ‘click of the mouse’. Although test providers might say that all information (and limitations) about the sold genetic tests are available on their website, the BSGM considers that the companies do not take responsibility to ensure that the consumers comprehend the disclosed information, act voluntarily, and are competent to act and consent to all elements of the consent form. Providing information does not substitute obtaining informed consent. In addition, who decides what is “accurate and appropriate information?” This is particularly disturbing, because a great portion of the concern with regard to direct-to-consumer genetic testing lies in particular in the misunderstanding of the genetic information by potential users. For example, the results from McGuire et al.’s study (2009) suggest that a portion of social networkers who responded to their survey believe that personal genome testing (PGT) offers medically relevant and potentially important information, even diagnostic information. They report that 34% (374/1087) of all survey respondents (including a majority who have not used PGT) believe the information provided by PGT to be a medical diagnosis. Moreover, of those who have used PGT, 60% (38/60) consider the information obtained from PGT to be a diagnosis of medical condition or disease. This is of particular interest for many reasons, one of which being that many companies, including those mentioned in McGuire et al.’s survey (2009) in fact, have statements/disclaimers on their websites stating that their services are not meant to have a formal medical purpose. Tests should be stratified to genetic tests with the potential to identify a high risk of a serious disorder vs. other tests. The former type of tests should not be available without a face-to-face genetic counselling session by a medical expert such as a clinical geneticist or genetic counsellor. Furthermore, they should not be included in a “package” including tests for different purposes. The BSGM has concerns about the impartiality of genetic counsellors hired by these test providers. If a company’s profits are dependent on selling tests, then how could employees hired by that same company or representing that company be completely impartial and not (routinely) suggest testing to potential clients? Based on the principles of respect for autonomy, confidentiality and privacy, and the potential psycho-social impact of genetic information on children and their family, the BSGM supports the Principle to postpone genetic testing of children until that child has the capacity to consent. The BSGM does support the view that in a clinical context the opinion of a minor should be taken into consideration as an increasingly important determining factor in proportion to his age and degree of maturity. In the specific context of a provision of genetic tests sold direct-to-consumer, however, it is impossible to assess the competence of a minor. The BSGM therefore advices that genetic tests directly-to-consumers should not be available to individuals who have not reached the age of legal majority. The BSGM raises additional concerns regarding the fact that that the provision of genetic tests outside the health care system may consequently lead consumers to visit health care professionals (as a follow up to the genetic test results) and result in an overconsumption of health care services. Therefore where appropriate, the test provider should supply consumers with information about genetics health professionals who are able to offer further advice or support. This is particularly worrisome given the fact that test providers may sell genetic tests directly-to consumers, which do not meet criteria for use in clinical practice, but are sending consumers to the healthcare system for advice or support. The BSGM considers this an inadequate practice. Possible consumer confusion regarding the medical value or interpretation of results is only one concern regarding DTC genetic testing which is highlighted in the report by McGuire et al. (2009). The fact that 78% of those who would use PGT services, would also then ask help to interpret results from an NHS Clinician could also be indicative of the possibility of needless visits to the NHS and use of NHS Clinical services. This is particularly worrisome in a publicly funded healthcare system. Regarding genetic tests in the context of inherited or heritable disorders (i.e. diagnostic tests, pre-symptomatic genetics, carrier tests), the BSGM believes in a more restrictive position and considers that it is entirely inappropriate to offer this type of genetic tests directly to consumers in the case of a potentially high risk of a serious disorder. There is an established professional policy of traditional clinic-based genetic counselling delivered by trained genetic counsellors and clinical geneticists, that has been built after decades of input from patient organisations and Clinical professionals. There is hardly any evidence whether telephonic individual pre-and post-test counselling might be an appropriate substitute for face-to-face contacts with patients in a genetic setting for such high risk conditions. Pre and post-test counselling would always be recommended as necessary conditions for these types of disorders. With respect to sample collection, the BSGM highlights that test providers should take reasonable steps to assure themselves that a biological specimens provided for testing are obtained from the person identified as the sample provider. The BSGM does not see how in a model of direct-to-consumer provision of genetic tests this can ever be truly achieved. When discussing ethical, legal and social issues of direct-to-consumer genetic testing many different fields of study contribute to the debate. As such, language and definitions should be as precise and clear as is possible and should be consistent for geneticists, clinicians, scientists and members of other disciplines taking part in the debate. As definitions might have important implications. Vague terms such as “phenotype tests” and “genetic matches” should be avoided. All genetic tests are ultimately a phenotype tests, and this is not a term commonly used in genetics. Some companies are now testing thousands of SNPs (e.g. 23 and me, Decode me, Geneessence, Navigenics) or performing whole genome sequencing. The BSGM has concerns especially when offers for recreational purposes are mixed with tests for a potentially high risk of serious disorders as well as susceptibility to common disorders. Consumers should be advised against such tests to answer Clinical questions. (1) Janssens AC, Gwinn M, Bradley LA, Oostra BA, van Duijn CM, Khoury MJ. 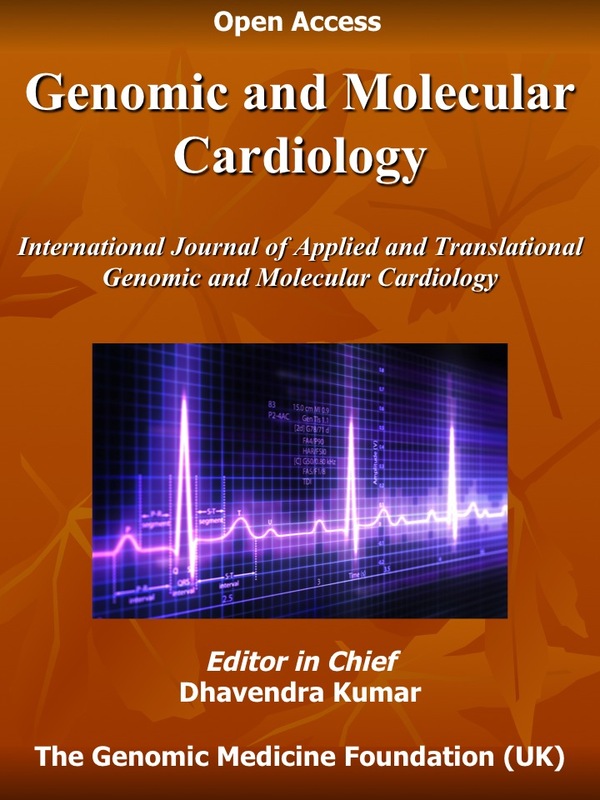 A critical appraisal of the scientific basis of commercial genomic profiles used to assess health risks and personalised health interventions. Am J Hum Genet 2008 82(3):593-9. (2) McGuire A, Diaz CM, Wang T, Hilsenbeck S. Social Networkers’ Attitudes Toward Direct-to- Consumer Personal Genome Testing. Am J Bioethics 2009.